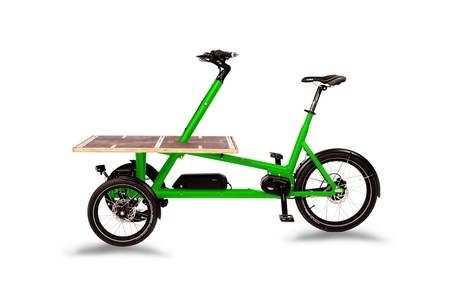 Chike is a cutting edge compact cargo bike, which combines great use with pure driving pleasure. Its suspended tilting chassis allows for high manoeuvrability and fast cornering. With its compact size of less than 2m in length and only 73cm maximal width it is just as much at home on narrow cycle paths as in crowded city centres. Chike optimally suits various areas of transportation needs from children to goods due to its modular construction. Its innovative design with the cargo area positioned above the front wheels results in a high load capacity without sacrifycing its compact outer dimensions. 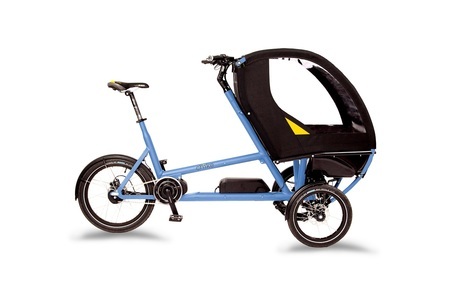 We are very impressed by the overall concept of the Chike e. It offers good protection for children in a very compact bike. 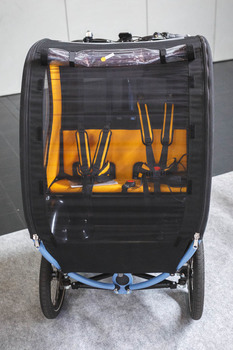 The tilting chassis makes the bike very easy to ride and, thanks to a clever feature, can actually be switched off to block the wheels and make loading the bike easier.